There's often a feeling of disappointment at the words "This one's off the new album". 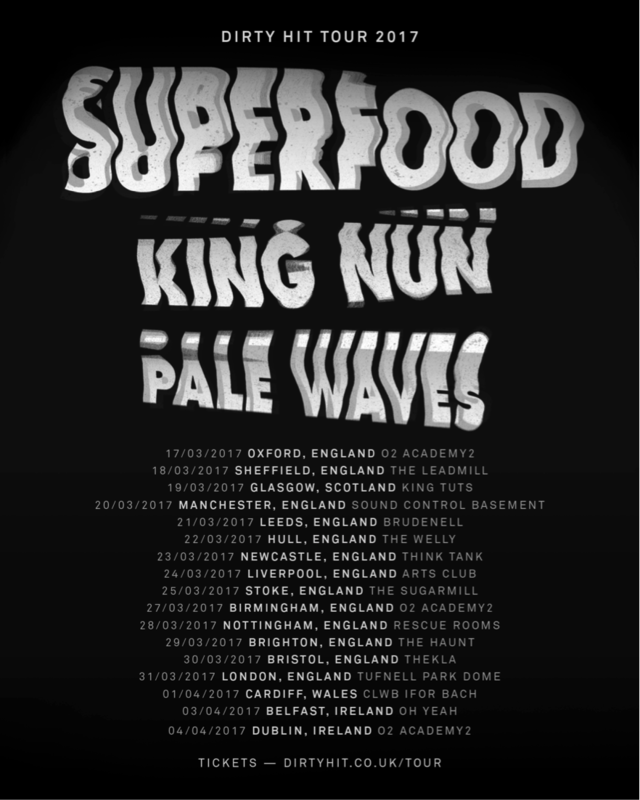 It usually leads to a timid sing-along as the crowd try and figure out where the chorus starts and what they're supposed to be dancing to; thankfully, with Superfood, those fears were alleviated, as new tracks I Can't See and Natural Super Soul went down like they were greatest hits. Funky bass lines and bouncy melodies filled the room and got the crowd jumping and jiving instantly, making for a ridiculously enjoyable night. 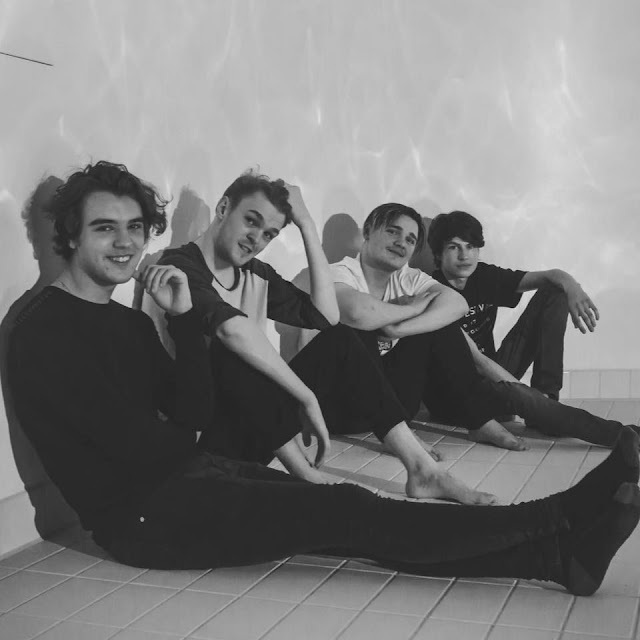 Touring as part of the 'Dirty Hit' tour, they were joined by label mates Pale Waves and King Nun, two of the most exciting indie bands around at the moment. Opening the night were Pale Waves, and the Manchester foursome did not disappoint. Lead singer Heather Baron-Gracie's stunning vocals were, as ever, the star of the show, adding an ethereal touch to Pale Waves' signature glittering guitar melodies. A rework of old demo Heavenly was on show and it was as affecting and touching as ever, with Baron-Gracie's shimmering vocals betraying her gothic look and laying the emotion on thick. There was no end to the emotive tunes either, with new song My Obsession being a stand-out track. Slower and less pop-like than previous hits, it still displayed Pale Waves' and, again, Baron-Gracie's effortless ability to make a delightful song, and it hit like tidal wave of guttural emotion. 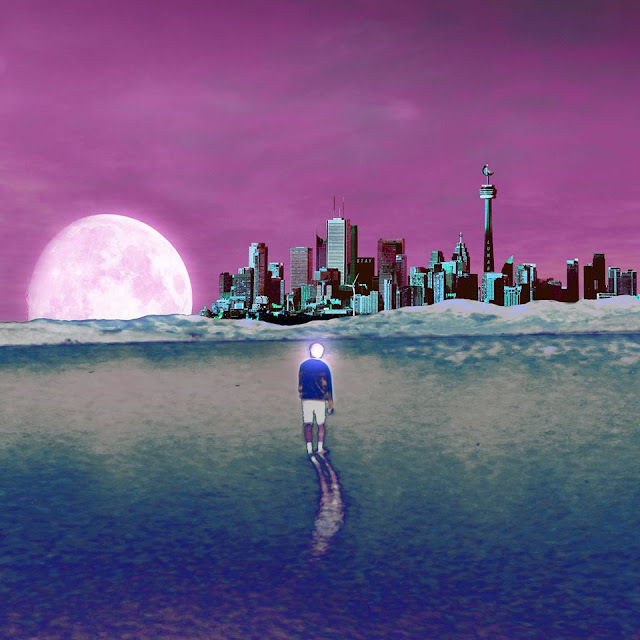 Old demo The Tide made a glitzy reappearance, and the band closed with their debut single There's a Honey, a crowd-pleasing, synth-heavy track with an absurdly catchy hook that belies its heartbreaking lyricism. Safe to say, it was a hit. It was possible to enter the Thinktank without knowing who King Nun were. It was certainly not possible to leave the room without knowing who they are. Loud, abrasive and full of teenage angst, King Nun were riotous fun, and the perfect pallet-cleanser after the tear-jerking indie-pop of Pale Waves. Most certainly on the heavier side of the spectrum compared to the other two bands on the bill, and a favourite of The 1975's Matty Healy, King Nun smashed through their half-hour set in what felt like five minutes. 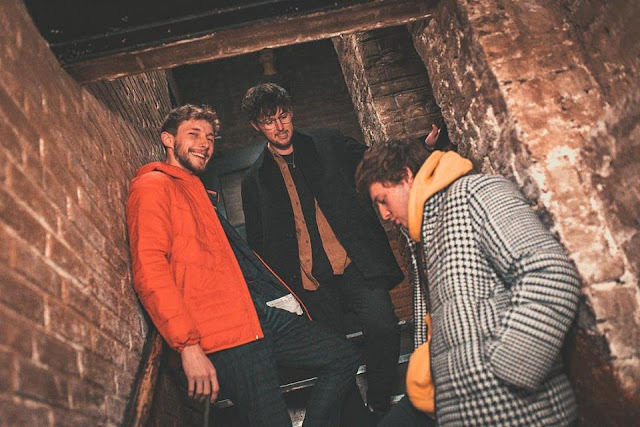 Recent single Hung Around was somehow even more punchy live, and B-Side Sponge showed the softer side of the band - but even their softer side lands firmly on the punk rock side of the scale - and led to one hell of a crescendo. Two minutes of pure fury led to garage rock banger Tulip, which struck with the force of a freight train and left the crowd breathless and reeling. A powerful set that was a microcosm of the exciting future of the band. Headliners Superfood saw this as a comeback tour, having spent 18 months writing new music, and as comebacks go it was pretty damn good. Floor-filler Right On Satellite was as enjoyable an indie-pop hit as ever, and Superfood - the song - was uproarious fun and caused the biggest sing along of the night. They opened with new single Double Dutch, a sample-led Gorillaz-esque tune with Superfood's signature chorus style - mundane, almost nonsense lyrics turned into an indie-pop banger that sounds like it means something. No other band would get a room full of indie fans moshing to the words 'Jumping on the pavement with my friends' - it just wouldn't happen. 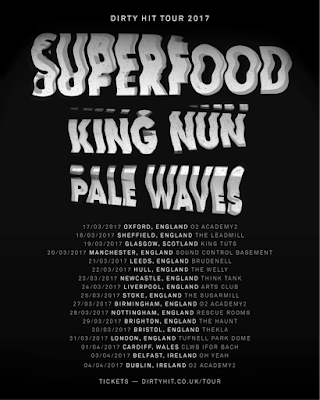 New tunes were packed with funky melodies, a display of the route that Superfood is going to take in their next album; but it wasn't without that distinctive Superfood sound. Dom Ganderton's ever-surprising range took the forefront on anthemic new track I Can't See, an effortless exhibition of the band's ability to write soaring hooks, and Natural Super Soul - which I think is the name of the song, the band themselves seemed a little confused - produced a reaction usually reserved for crowd favourites, even though nobody there had heard it before. 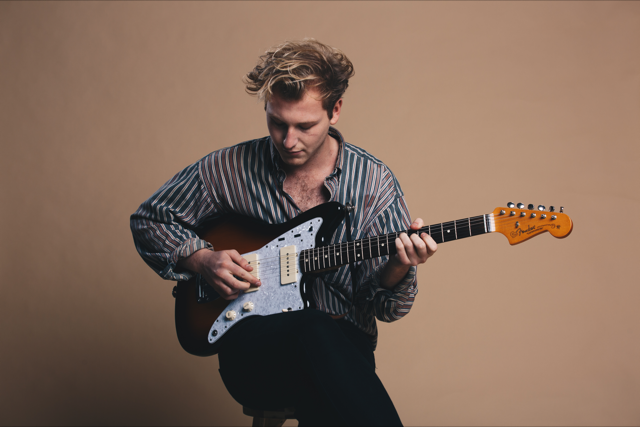 Packed to the rafters with quirky, innovative riffs and hooks, it was an instant hit. Bubbles and You Can Believe served as great crowd-pleasers; Bubbles, a slow-burner that was a highlight of debut album Don't Say That, elicited a great reaction and You Can Believe was a fan favourite. That left one new song - Where's The Bass Amp - and it rocked. An absolute blast, stuffed with funk and delirium; the only criticism being that it ended. The only real disappointment in what was a stupendously fun night was the absence of some of Superfood's bigger hits - Mood Bomb the most notable absence. Mood Bomb is probably Superfood's biggest and best song, and that we were robbed the chance to see it was a little frustrating. But when your new tracks are so damn good, why play your old hits?